As the population increases so does the volume of wastewater. Few treatment systems throughout the world were designed to effectively treat the volume of wastewater they are now being required to treat out of necessity. Our Treatment Plant Automatic Dispensing System should be placed near the inlet to the treatment plant and the dosing material injected directly into the incoming wastewater stream. 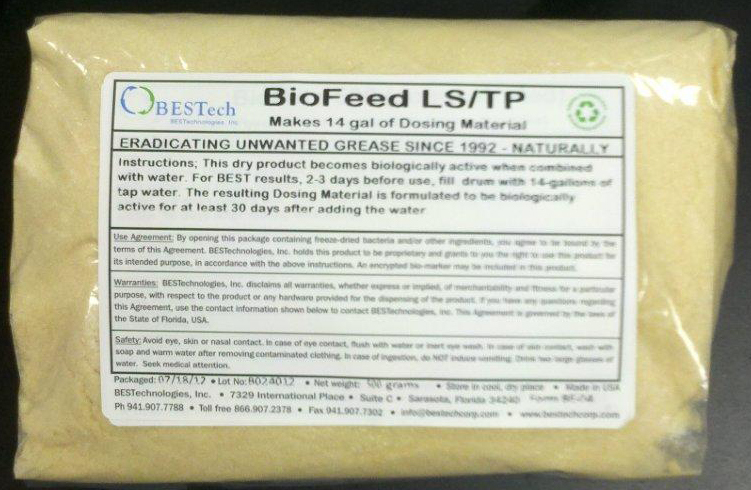 BESTech’s highly effective bacteria consortium, when introduced into the wastewater stream (upstream as well as at the treatment facility), will substantially reduce (in most cases) the amount of grease in the system, thereby taking much of the load off the treatment facility. Contact our knowledgeable sales staff for your facility’s needs and start saving now on waste water treatment maintenance. 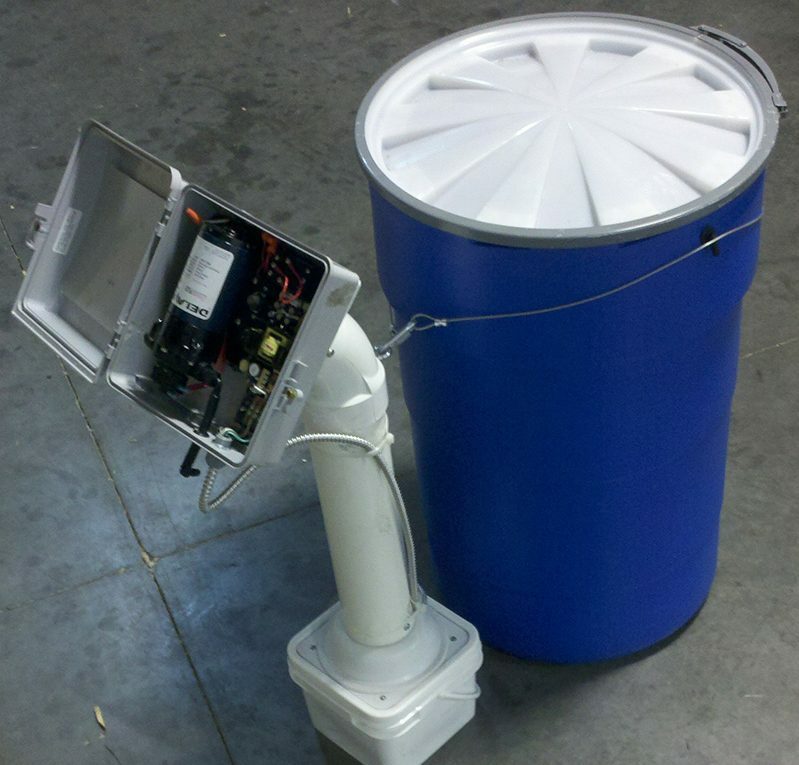 This weather resistant Dispenser is installed near the incoming wastewater flow of a Treatment Plant and dispenses our Part #8303 BioFeed LS/TP (depending on the severity of the problem). NOTE: Part #8236 Lift Station Dispenser and Part #8237 Treatment Facility Dispensers are identical except #8236 uses a spray nozzle on the free end of the dispense tube. The spray head is not used on Part #8237 Treatment Plant Dispenser. Makes 14-gallons of Dosing Material – enough to last from 15 – 30 days when dispensed by our Lift Station or Treatment Plant (Part # 8236 or # 8237 Dispensers. Fill out the form below to let us know your questions or to get pricing about this product. Provide effective, environmentally friendly products. Provide reliable customer service, training and support. Provide access to more than a decade of research in our laboratories and the insight gained in deploying grease remediation systems in restaurants, food production facilities and municipal wastewater treatment systems.